As a young boy of eleven, I was first introduced to the MacGyver television series right about the time the Nintendo Entertainment System was released in America. Splitting my time between my two new loves, I noticed that during the show, MacGyver had a habit of wearing a brown distressed leather jacket. 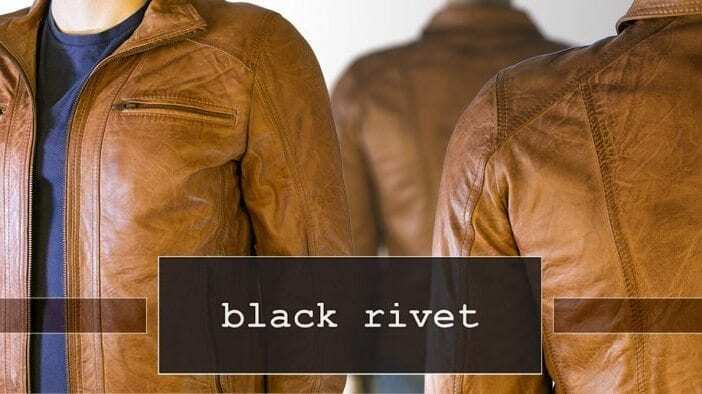 I was rather pleased when asked to review the Wilsons Leather Black Rivet Distressed Leather Moto Jacket, as it immediately reminded me of those days thirty years passed. While not identical to the one Richard Dean Anderson wore in the series, there are enough similarities that it took me back to nostalgia-land for a while. The Minnesota-based Wilsons Leather, formed in 1988 by a merging of Bermans Leather and Wilsons House of Suede and Leather, is a modern day leather clothing and apparel retailer known famously for their jackets, bags, and accessories. In 2008, the G-III Apparel Group purchased Wilson’s Leather and E-commerce divisions. Today, Wilsons Leather offers in-season, designer products at their outlet stores. Their online stores offer an even more extensive line of products in addition to increasing brand awareness and improving customer experience. On a more personal note, my wife and I have been visiting the Wilsons Leather Outlet in North Bend, Washington, each time we take a trip to the west side of Washington from our home in Spokane. The zippered hand and chest pockets, the main zipper, and the banded wrist cuffs all use YKK antiqued-brass zippers. The seams of the jacket are double-stitched with non-contrasting brown polyester thread for strength. The stitches themselves are even and add to the overall look of the jacket. When talking about leather jackets, their function is pretty straightforward: you wear them when they fit the situation, whether it be a cold fall day or a night out on the town. I recently wore it to the premier of a television series they are filming here in Spokane, Washington, and was perfectly comfortable with the outside temperature in the low 60s. Much higher than that and it would be too warm. Depending upon where you live, I imagine it would be suitable for winter and spring months as well. For most locations in the summer, it’ll be too warm as with most coats and jackets. As a side note, I did find the two inner breast pockets rather handy for storing my phone and my wallet. Before anything else, I noticed how soft the leather shell of this jacket is. The second thing I noticed was the beautiful cognac brown color of the leather and the way the distressed look played in the light. This is the first brown leather jacket I’ve had a chance to review, and it’s quickly becoming my favorite. It’s MacGyverish (a word meaning “outstanding” that I made up) good looks easily makes the jacket a classic for those of us who appreciated that era of TV. Even if you aren’t an old school TV enthusiast, the look and feel of the jacket will draw you in. I felt like I could wear it with a plain black t-shirt, as well as a nice dress shirt depending on where you are going. The jacket is balanced in its look and feel , giving it the ability to skirt the line between casual and formal. Overall, I found the look and feel of this jacket to match my tastes pretty closely. As a guy with slightly larger shoulders, I did find the large size a little tight around the shoulders, but not enough to prevent me from wearing it comfortably. This has happened with most of the leather jackets I’ve tried on in the last few years. Wilsons Leather outlets and online stores always have pretty good sales going on; I don’t think there is ever a time where I’ve paid the price listed on the tag for my purchase. The Black Rivet Distressed Leather Moto Jacket is no exception. The MSRP is $700.00, with the purchase price set at $319.99. Were this the final price, I’d still consider purchasing the jacket were my budget to allow it. At the time of this review, you could get an additional 40% and free shipping if you’re purchasing online, bringing the cost down to $192.00 out the door. 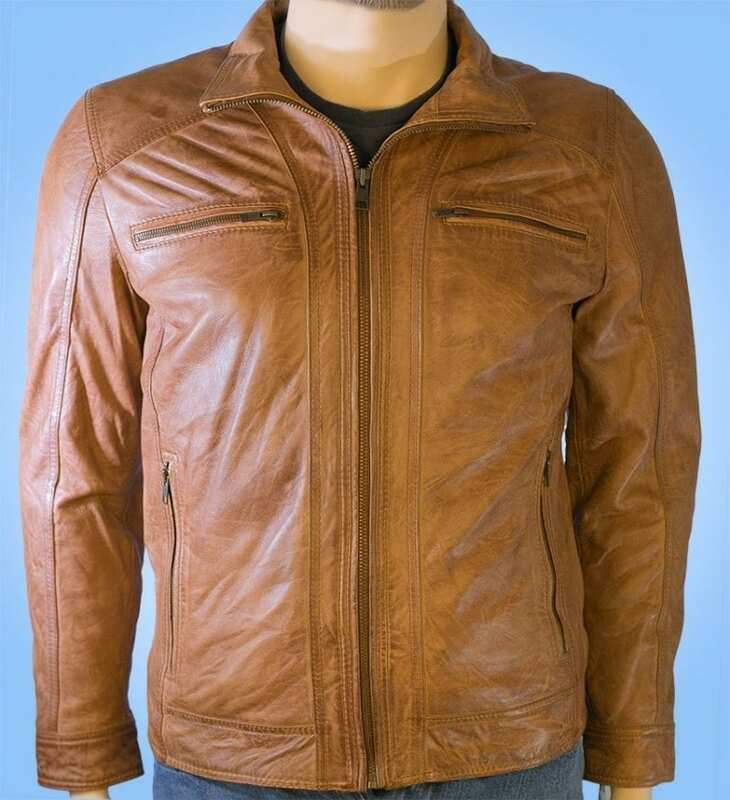 I wholly advise checking their online site for deals if you’re in the market for a leather jacket. With the proper care and cleaning, if you decide to invest in the jacket, it’s going to last you a long time. Well-cared for leather products can have a lifetime of service, and this jacket is no exception. For looks, durability and comfort, I found this jacket to be well worth the price. 1 Comment on "Wilsons Leather Black Rivet Distressed Leather Moto Jacket Review – $319.99"